Abraham (which mean ‘father of man’) and Sarah (which means ‘princess,’ because her offspring would be kings) got new names in Genesis 17. So does God. 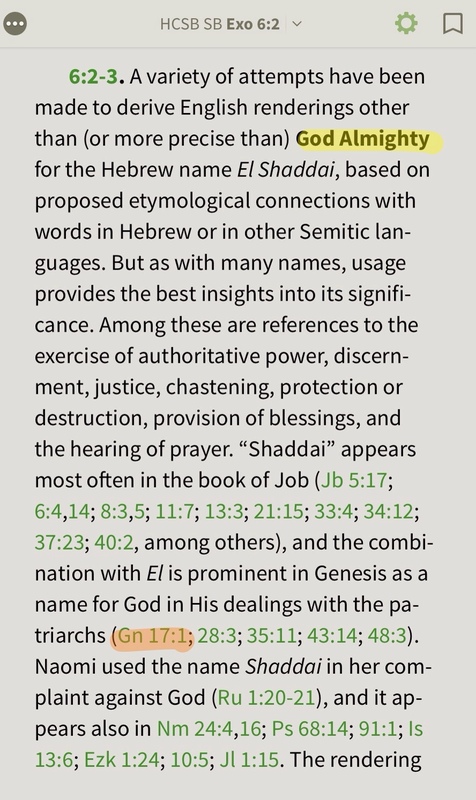 In Genesis 17:1 we have the first use of the name El Shaddai, when is translated as God Almighty. It was widely used throughout the Bible and was a common name for deity in ancient times.